This sleeve makes easy work of storing and accessing your bills. A pinch opens the central pocket -- ideal for folded bills -- it's a breeze to slide cash in and out. External slots fit up to 4 cards, quick to reach when you need them the most, and the central pocket can hold a couple more. Super slim, the Micro Sleeve smooths away pocket lines, for a tailored fit. 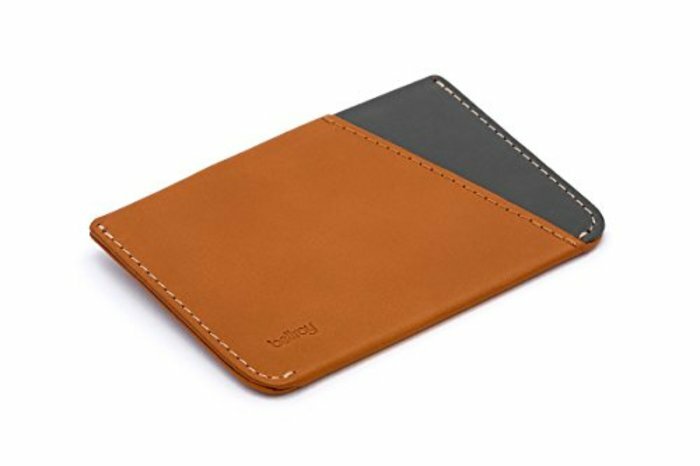 One of our slimmest wallets, the Micro Sleeve is great for the minimalist who carries just the bare essentials. Folded bills and cards are easy to reach -- a pinch opens the central pocket for less fumbling when you've offered to pay. Elegant hinging makes the Micro Sleeve a pleasure to use, and intuitive too. Backed by our three year warranty.